Kelly Jon Fleissner, 61, of Duluth, passed away peacefully on Monday, December 3, 2018 at the Solvay Hospice House due to ALS. Kelly was born on June 3, 1957 in Minneapolis to Ronald E. and Beverly K. (Ness) Fleissner. 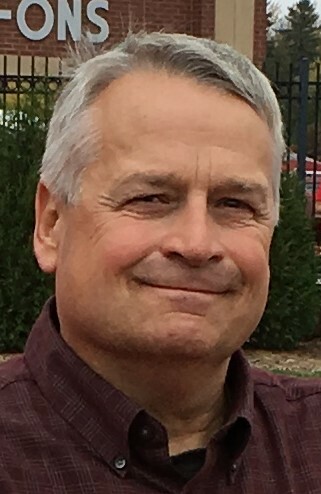 Kelly graduated from Anoka High School in 1975 and continued his education at UMD. While at UMD, Kelly played football, where he was captain of the football team his senior year. He also received the Duce Rasmussen UMD Top Male Scholar Athlete award. Kelly then completed his Forestry degree at the University of Minnesota. He worked for St. Louis County, and then for the City of Duluth for 32 years, where he was City Forester, worked in the Parks and Rec Department and retired as the Street Maintenance Operations Manager. He married Elizabeth “Betty” Oland in Duluth on July 6, 1985 and they raised three daughters. Kelly was active with professional forestry associations, enjoyed the outdoors, fishing, duck hunting, cross country skiing and gardening. Kelly was a member of St. Lawrence Catholic Church. He was preceded in death by his parents. He is survived by his wife Betty; three daughters, Anna (Glen) Faught of Minneapolis, Sarah and Emily both of Duluth; a sister, Erica (David) Foertsch of Burnsville; two brothers, David (Joyce) Fleissner of Duluth and Paul (Lisa) Fleissner of Rochester, MN; many nieces, nephews and friends. Visitation 4 to 7 p.m. Sunday, December 9, 2018 at St. Lawrence Catholic Church, 2410 Morris Thomas Road. Wake Prayers at 6:30 p.m. followed by a time of sharing. Visitation will continue on Monday from 1 p.m. until the 2 p.m. Mass of Christian Burial at St. Lawrence Catholic Church. Following mass, a Social Gathering will be held at the Greysolon Ballroom at 231 E. Superior St. from 3:30 – 6:30 p.m. to share memories, laughter and fellowship. In lieu of flowers, memorials to the ALS Association or Solvay Hospice House would be appreciated. Arrangements by Williams Lobermeier Boettcher Funeral Home.